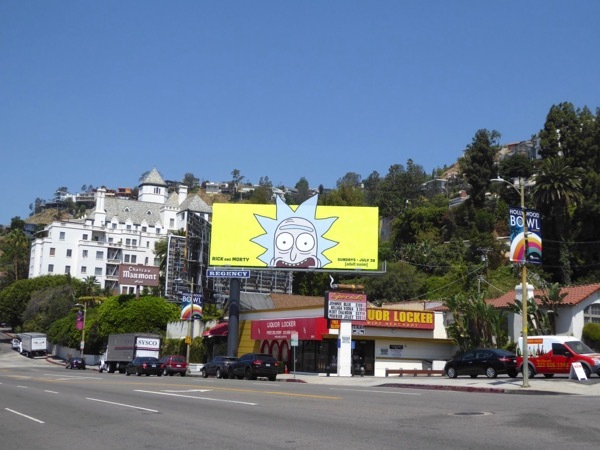 This year as part of Adult Swim's annual April Fools' Day prank the first episode of Rick and Morty's third season, 'The Rickshank Rickdemption', premiered and played on a loop from 8pm to midnight. Now it's time for the rest of the ten episode season to start to be aired. 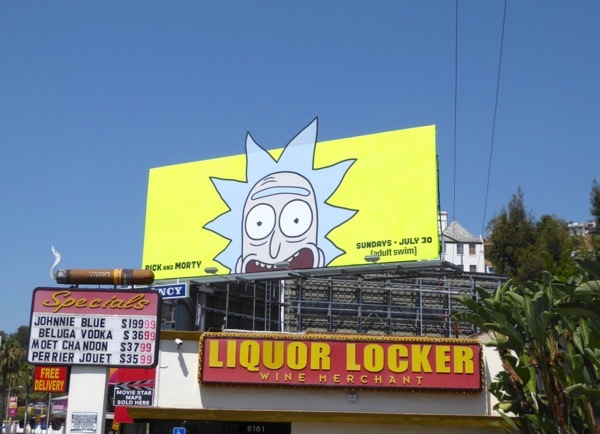 This vibrant season three ad creative featuring mad scientist 'Rick Sanchez' was snapped along West Hollywood's Sunset Strip on July 17, 2017. 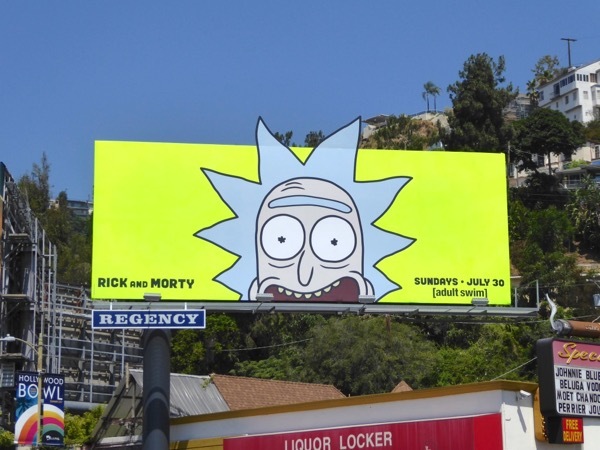 Although this is an eye-catching, fluorescent special extension cut-out billboard, nothing quite beats the cool crashed 3D UFO billboard installation for the series launch of Rick and Morty from 2013. 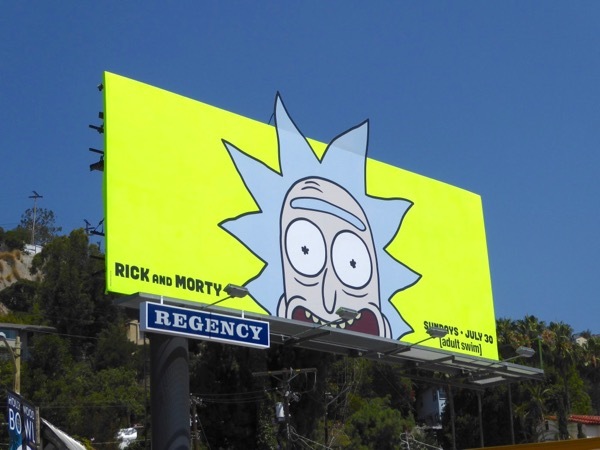 Fans of the sci-fi animated comedy can also enjoy these Rick and Morty season two billboards from 2015. Now buckle up science fans, it's time for more crazy, hair-raising, mind-bending adventures through time and space with your favourite mad grandpa and impressionable grandson combo.